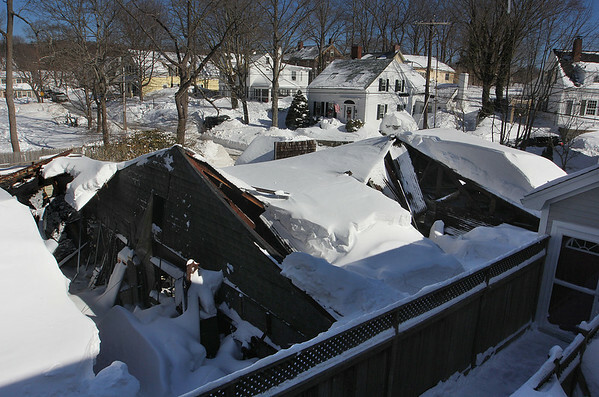 A vacant automotive repair building on Leonard Street is shown in a state of collapse Monday in Annisquam. The collapse occurred before the weekend snowstorm began Saturday, under the weight of snow that had fallen earlier. Annisquam resident Bob Hall, who lives across the street, heard a section of the roof collapse at about ten minutes after 3 a.m. Saturday. Another section of the roof fell later in the day, at about 4:30 p.m.